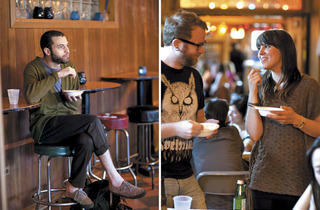 It seemed like just another excuse for Blue Liners to drink and brood together. 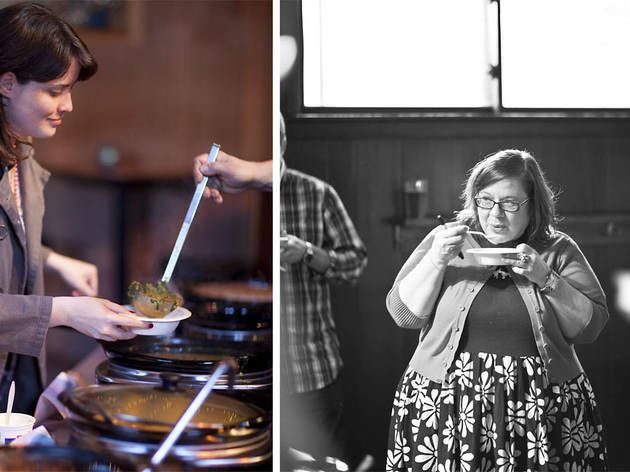 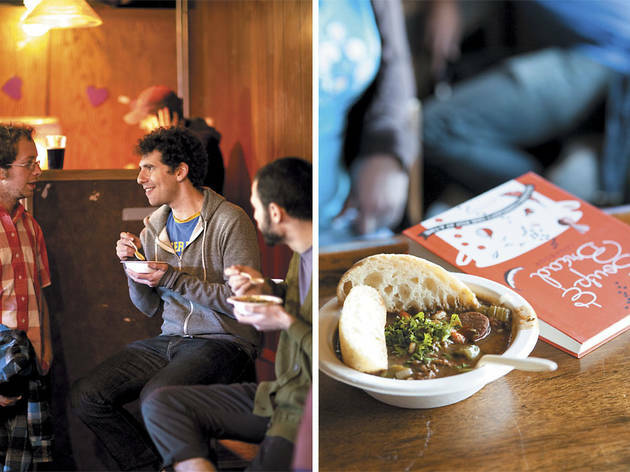 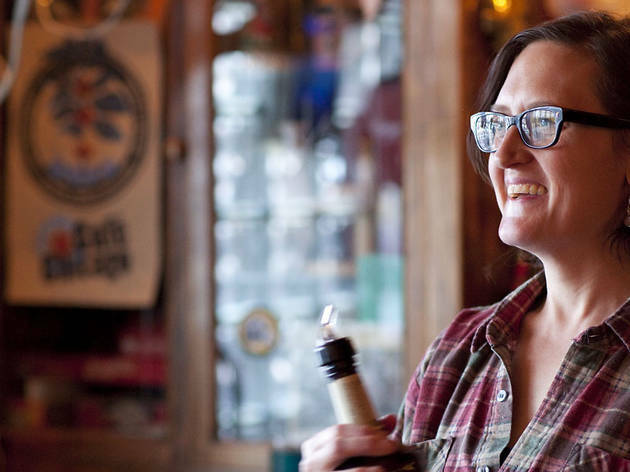 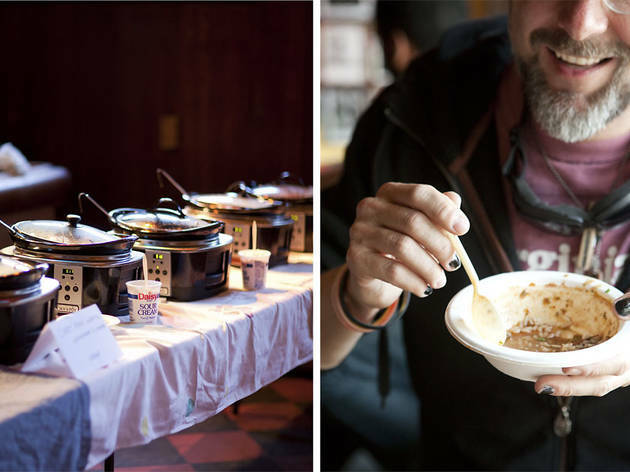 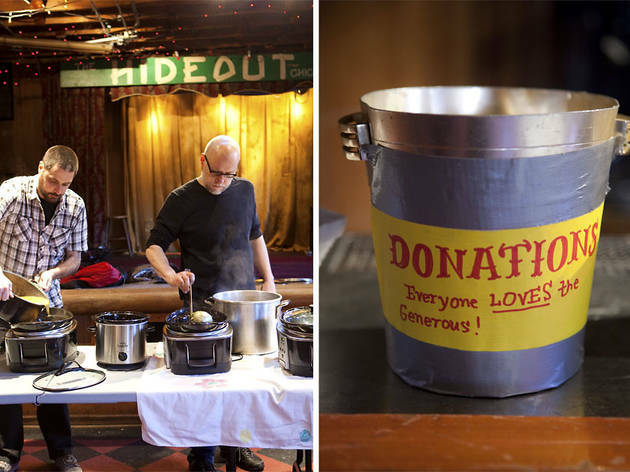 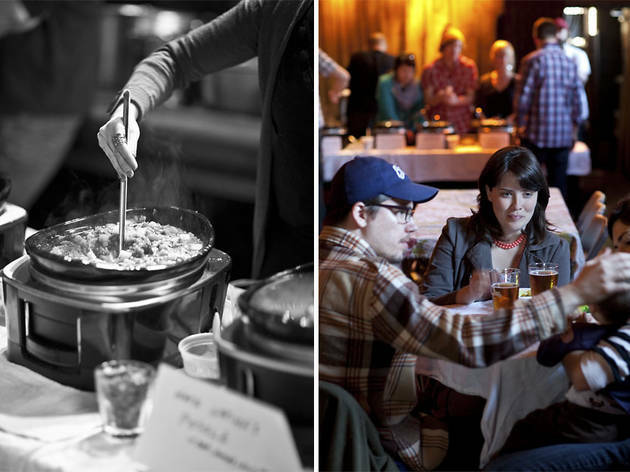 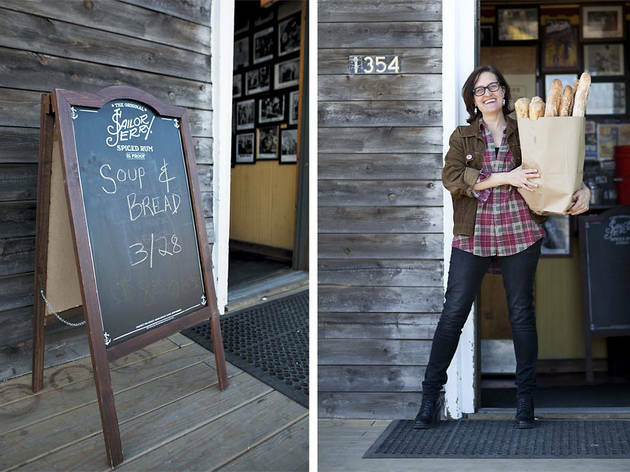 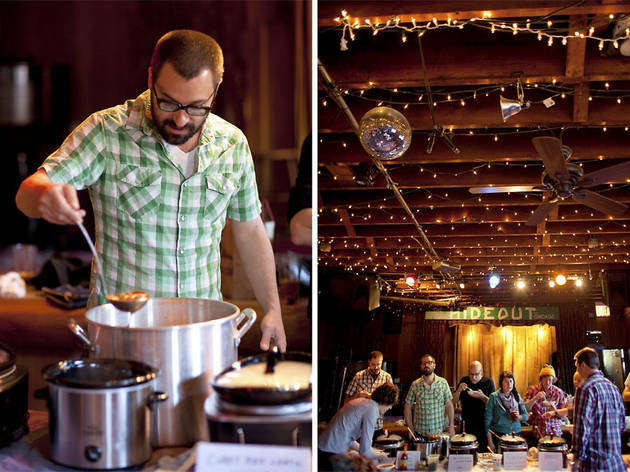 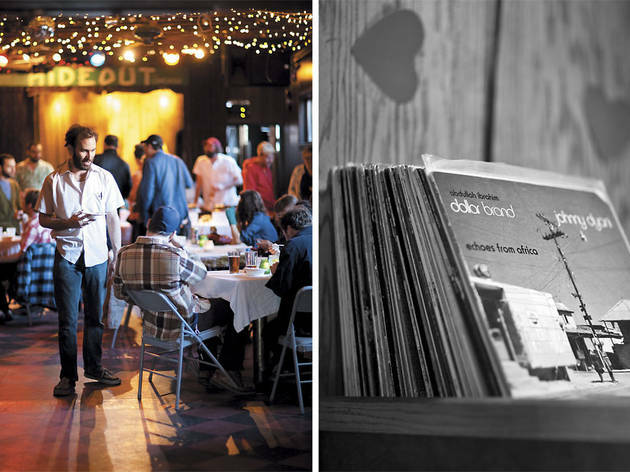 But in the three years since Martha Bayne started Soup & Bread, a weekly event that runs from January to April at the Hideout, she’s proven that a modest idea—serve free soup, collect tips for hunger charities—can morph into a movement for social change. 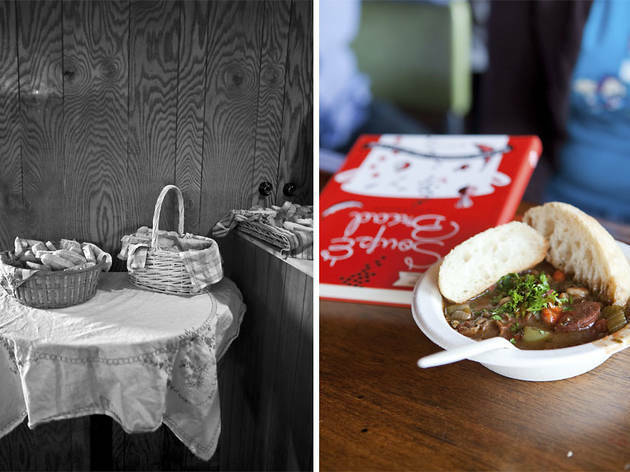 This year, Bayne published the Soup & Bread Cookbook, a collection of recipes and essays about various organizations that use soup to achieve their missions. 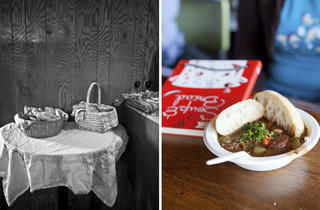 It was on her book tour, though, that S&B really took off. 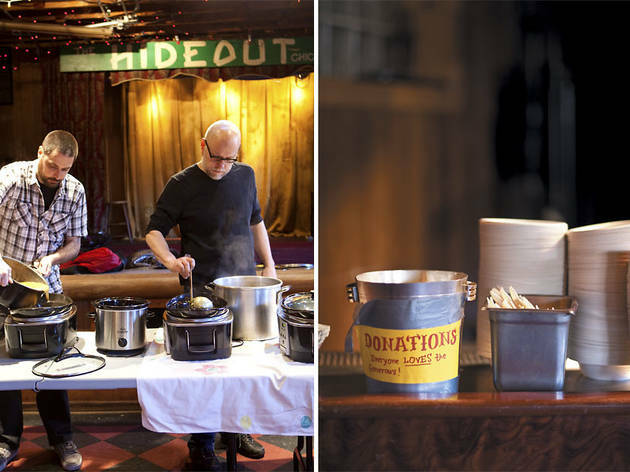 Bayne hosted one-off soup nights in cities such as New York, Nashville, Philadelphia and Detroit, and in some of those cities, it stuck. 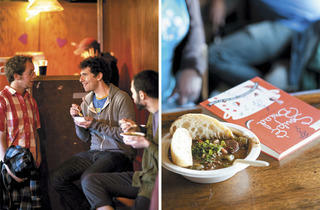 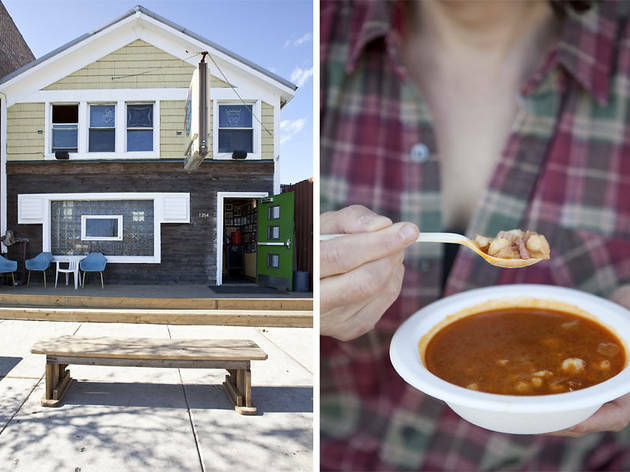 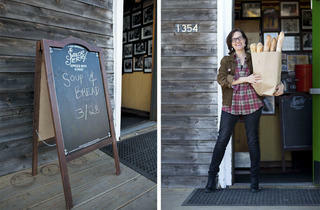 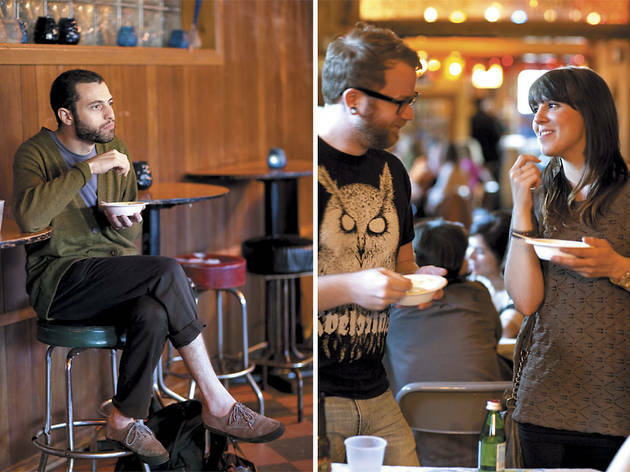 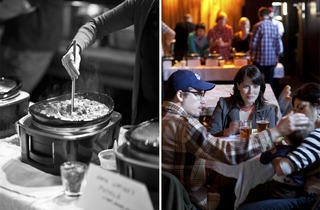 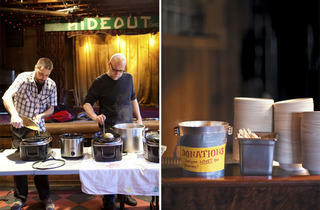 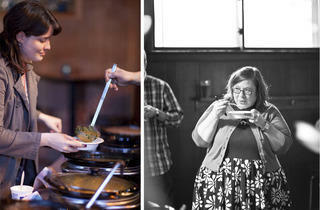 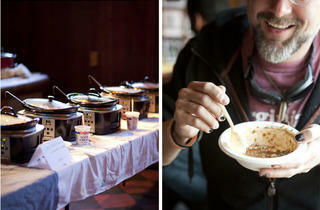 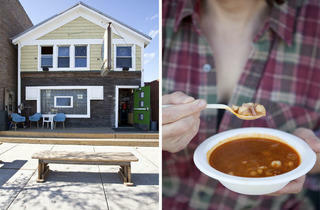 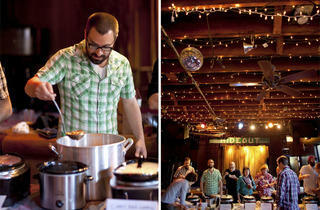 Now, we have a choice: Soup & Bread at the Hideout, or Soup & Bread in Madison, Wisconsin. 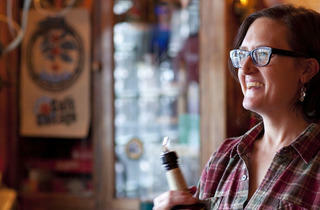 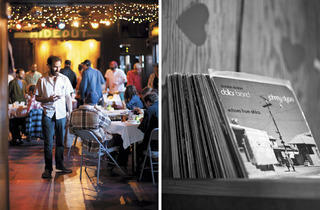 The Hideout, 1354 W Wabansia Ave.